I sometimes wonder why I poke at my Wired Magazine app almost every day…. Today brought a little reward, if one considers revelations of such nonsense as a reward. How anyone with any level of day-to-day common sense, or rudimentary knowledge of history, any history, could believe that the followers of the Torah or Bible have been becoming less violent must be on some pretty serious drugs. 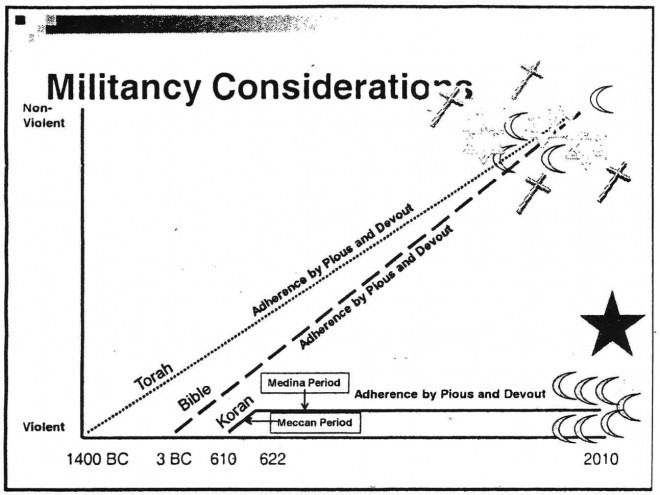 I will leave it to those with a more serious understanding of the relative bellicosity of believers in the Koran to weigh in on the horizontal line…..